The Datsun GO and GO+ will be launched on October 9, the same day as the new generation Hyundai Santro unveil, and will receive their first comprehensive upgrades since the launch. Nissan's entry-level brand Datsun is all set to introduce the GO and GO+ facelifts next month in the country. While we told you weeks ago that the company was eyeing an early October launch, the automaker has earmarked October 9, 2018, as the launch date for the updated models. It's interesting to note that the new generation Hyundai Santro (AH2) will also be officially unveiled on the same day, and will be a direct rival to the the Datsun offerings. The Datsun GO was first introduced in 2013, while the Datsun GO Plus arrived in 2015 as a seven-seater version. This will be the major upgrade to the GO range ever since the models have been on sale. The facelifted avatars were revealed in Indonesia earlier this year, and the Indian version will be identical. 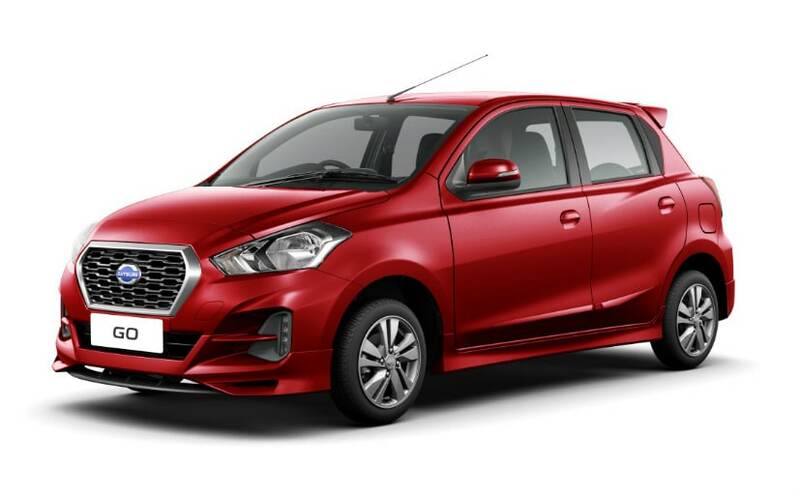 While the overall design will remain identical to the outgoing model, the Datsun GO facelift will get a revised grille, headlamps and front bumper. The Indonesian spec version comes with new LED daytime running lights integrated in the bumper, which we expect to see on the Indian model as well. Other ugrades are likely to include ORVMs integrated with turn indicators, alloy wheels for the top variant and new LED position taillights. Upgrades on the cabin will include a revised dashboard, new upholstered seats, and more features as well. Apart from the usual features like power windows and power steering, we hope to see an upgrade to the mobile docking system on the GO and GO+, possibly replaced by a touchscreen infotainment system, something like that on the Renault Kwid perhaps. Don't expect much change under the hood, the Datsun GO and GO+ facelift. The cars will continue to draw power from the 1.2-litre three-cylinder petrol engine tuned for 67 bhp at 5000 rpm and 104 Nm of peak torque at 4000 rpm, while paired with a 5-speed manual gearbox. While the Indonesian version gets the option of a CVT automatic, that can be ruled out for India in favour of an Automated Manual Transmission (AMT) that is already offered on the redi-GO. Datsun claims a fuel efficiency of around 19 kmpl on the GO, and we expect that number to improve with the facelifted version.